The 2018 edition of Excited QCD will take place from 11 to 15 March 2018, in the ski resort of Kopaonik mountain in Serbia. The location is perfect for those who love winter sports, nature and good food. 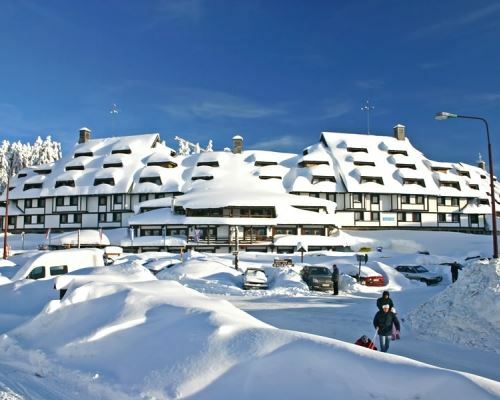 The Hotel Angella, placed in the centre of the Kopaonik ski resort will host the meeting. This edition is the tenth in a series of workshops that had been previously organised in Poland (2009), Slovakia (2010 and 2015), France (2011), Portugal (2012, 2016 and 2017) and Bosnia and Herzegovina (2013 and 2014). In the year 2018 the workshop goes to the beautiful mountain of Kopaonik in Serbia. Emphasis is placed on new developments in theory as well as the current experimental status. Scientific atmosphere, various discussions about different topics in QCD, active participation of many young researchers and a nice environment have been the main characteristics of the previous editions and also represented the goals for the new edition. The talks are all plenary, 20' long separated by 10' for discussions and with a coffee break of 30' every three or four talks for more discussions. An extended lunch break allows for longer discussions and for inspiring open-air activities. The meeting will take place on Kopaonik mountain, 278km far from the capital Belgrade. Kopaonik is the largest ski resort in Serbia with excellently prepared runs, offering joy to all categories of skiers, from beginners to highly skilled ones. The resort comprises of about 55km of runs for alpine skiing and 12 km of runs for cross country (nordic) skiing. 24 ski-lifts connect the slopes in one system. Two additional lifts are available for children only. The conference hotel, where participants will stay and where the conference will run, is the Hotel Angella, http://www.mkresort.com/en/page/family-hotel-angella-o-hotelu, placed at the foot of a ski resort in the Kopaonik mountains, only 2-minute walk from the nearest ski lift. There are many bars, shops and restaurants nearby. We advise the participants to book as soon as possible their rooms because Kopaonik is very touristic place and March is still a ski season. Participants should book their rooms directly at the hotel, sending an email or calling, and mentioning they are attending eQCD 2018.
apartment (3 persons)- 56,00 €. The price is per person per night on half board base - it includes breakfast and dinner, WiFi, hotel insurance, unlimited use of Wellness & Spa centre and the gym. The price does not include 100.00 RSD (1.00 €) per person per night. In order to make a booking at Hotel Angella, please make your request by email info@mkresort.com or by phone +381 36 54 71 246 and mention that you are coming for the Excited QCD conference.